There was a welcoming committee as four ex-ministers from the sacked separatist Catalan government were freed on bail on Monday (December 4). Two more were later released. But Spain's Supreme Court has ruled that two senior pro-independence politicians, among them Catalan's ex vice president Oriol Junqueras must remain behind bars. The ruling means that Junqueras and Catalan ex-interior minister Joaquim Forn along with two high profile activists (Jordi Sànchez and Jordi Cuixart,) remain incarcerated just as campaigning starts for the December 21 Catalan regional election. 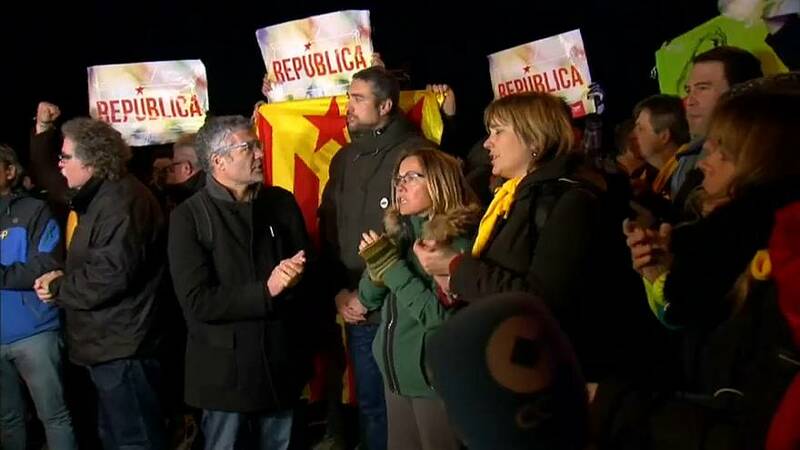 Separatist spokeswoman Marta Rovira said the court's action was politically motivated. "We do not find any argument that justifies the judicial decision from a legal point of view. We understand that this is done with political logic because these four people who are still in jail today are paying the political price of the success of the referendum held on October 1." The latest opinion poll says the election outcome will be tight but that pro-independence parties will fall narrowly short of an absolute majority.